Varus in his current state is no longer played as the long-range sniper we all know and love from ARAM. Instead, he's using much more of his kit now to dominate enemy champions via his mixed damage, percentage based, healing-reducing abilities. How does it work and why now? Check out the details below! Anyone with mixed damage can benefit off the ability power that Guinsoo's Rageblade provides, and Varus is no slouch. While the majority of his damage does come from stacking attack speed, his scaling on his abilities does an excellent amount of damage, providing him with stronger burst damage executes during a sustained fight. 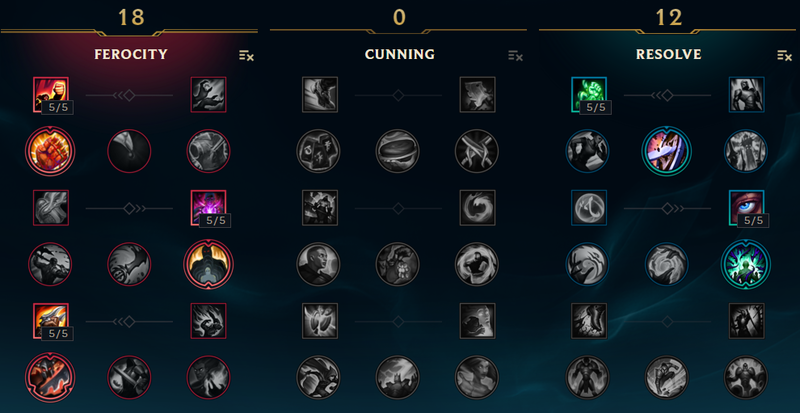 Some players consider maxing his Blighted Quiver [W] early in order to maximize Varus' Guinsoo proc damage. However, for the most part, it's better to just stick with his Hail of Arrows [E] max first as you'll likely have both maxed by mid-game anyway. Either way, the double tick on his W combined with Blade of the Ruined King gives Varus an ABSURD amount of percentage based damage, making it difficult for tanks to deal with him and his mixed-type damage. Although Riot reworked Ardent Censer from the world's patch to the current live version, Ardent still procs twice off Guinsoo's Rageblade's fully charged special ability. While the heal on Ardent allowed him to powerspike earlier into an unkillable machine, he still becomes extremely difficult to deal with once he gets his third item and melts tanks and squishies alike. 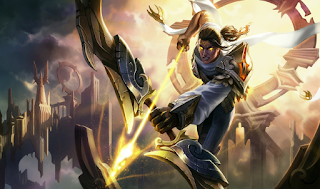 Varus' passive provides him bonus attack speed on scoring champion assists or kills, meaning that a single kill can quickly snowball him into activating Guinsoo's Rageblade proc in a fight, even if that's his only item on hand. Hail of Arrows [E] stacks Grievous Wounds in an AOE for four seconds, providing him with some early game heal reduction against the multitude of heal based Ardent Censer supports out there. While he may still want to build Executioner's against Soraka or Sona, his built-in reductions still give him an excellent starting point for winning trades. This build takes some time to ramp up to full effect during a team fight since he'll need six attacks to build it up to activation. As a result, if he's fighting against a burst damage champion, Varus may end up dying before he even gets to use his overpowered attack speed/on-hit synergies. Arguably one of the most fun aspects of Varus is his ability to snipe champions from long-range using his Piercing Arrow (Q). However, this build doesn't focus on that flat AD damage and opts for boosting his auto-attack damages instead. This means those long-range snipes are not quite as effective. On-hit Varus with Guinsoo's is one of those builds that was better during the time of healing Ardent Censer, but in its current state he still does very well when paired with a heal/shield support. His mobility isn't all that high, but his ability to reduce healing and shred tanks makes him extremely good on any team. What do you think about Guinsoo Varus? Comment below!